a little mummy magic: Daily energiser? yes please!! So not so long ago a little bomb dropped in my brain... Wow i'm going to be 30 in just over 6 months! Then the next thing i thought was 'Wow that's like legitimate adulthood' (because being married with 2 kids and all that jazz doesn't count as being an adult haha). So then the third thing i thought was jeez i better start looking after my skin before i get wrinkles! Hand on my heart i am not very good at sticking to beauty regimes. I have tried in the past and by the past i mean before i had kids because who has the time or energy for a 27 step beauty routine day and night when you have a 3 yr old saying mummy get me some breakfast and your 18 month old has emptied all your makeup onto the floor whilst your telling your 3 yr old to hang on a second?. 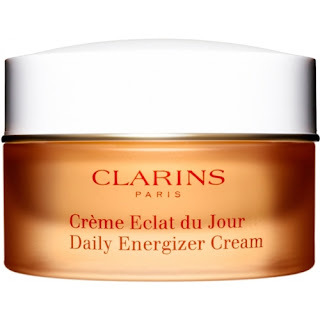 So to make things easier on myself i thought i would buy a nice moisturiser and attempt to put this on every morning and if i stick to it maybe i can add in some other magic potions? Baby steps and all that! So after this long thought process and after checking some of my fave beauty blogs i decided on Clarins Créme Eclat du Jour £21, Or for us english folk, Daily Energizer Cream. First impressions its quite a bit lighter than i expected. 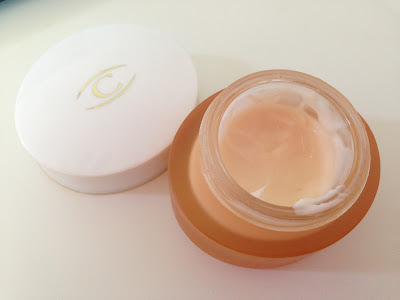 Quite similar but a bit thicker to the Clinique dramatically different moisturizing gel which is really good if you are prone to oily skin. It has a lovely fresh fragrance but if your put off by scents you prob wont like this. It soaks in really quickly so theres no hanging around to put your makeup up and i love how it makes my skin feel its really smooth and i don't feel like my skin is clogged up or greasy as with some heavier moisturisers. After using religiously for 3 weeks my skin felt and looked so much better and definitely energised! If only it would give me real life energy ha! Is mummy guilt the worst guilt?? Anniversary years 1 to 5 ! Our favourite family App !! Our Make Up Must Haves!!! I want I want an initial necklace!!! a little mummy magic 2013. Simple theme. Powered by Blogger.